In nearly all countries surveyed, a majority of Muslims say that a wife should always obey her husband. At the same time, there also is general agreement – at least outside sub-Saharan Africa – that a woman should have the right to decide for herself whether to wear a veil in public. Muslims are less unified when it comes to questions of divorce and inheritance. The percentage of Muslims who say that a wife should have the right to divorce her husband varies widely among the countries surveyed, as does the proportion that believes sons and daughters should inherit equally. In some, but not all, countries surveyed, Muslim women are more supportive of women’s rights than are Muslim men. Differences on these questions also are apparent between Muslims who want sharia to be the official law of the land in their country and those who do not. Muslims in many of the countries surveyed generally favor a woman’s right to choose whether to wear a veil in public.30 This view is especially prevalent in Southern and Eastern Europe, Central Asia and Southeast Asia, including at least nine-in-ten Muslims in Bosnia-Herzegovina (92%), Kosovo (91%) and Turkey (90%). There is less agreement among Muslims in the Middle East-North Africa region and South Asia. While more than eight-in-ten Muslims in Tunisia (89%) and Morocco (85%) say women should have the right to choose whether they wear a veil, fewer than half in Egypt (46%), Jordan (45%), Iraq (45%) and Afghanistan (30%) say the same. Sub-Saharan Africa is the one region surveyed where most Muslims do not think women should have the right to decide if they wear a veil. The only country in the region where a majority supports a woman’s right to decide is Senegal (58%); by contrast, fewer than a third support giving women this right in Nigeria (30%) and the Democratic Republic of the Congo (29%). Muslims in most countries surveyed say that a wife should always obey her husband. In 20 of the 23 countries where the question was asked, at least half of Muslims believe a wife must obey her spouse. Muslims in South Asia and Southeast Asia overwhelmingly hold this view. In all countries surveyed in these regions, roughly nine-in-ten or more say wives must obey their husbands. Similarly, in all countries surveyed in the Middle East and North Africa, about three-quarters or more say the same. Across Central Asia, most Muslims say that wives must obey their husbands, although views vary from country to country. Opinion ranges from nearly nine-in-ten in Tajikistan (89%) to about half in Kazakhstan (51%). In most of the Southern and Eastern European countries surveyed, fewer than half of Muslims believe a wife must always obey her spouse. Russia is the one exception, with 69% of Muslims taking this view. Muslims in the countries surveyed are not united on whether women should have the right to terminate a marriage.31 In 13 of the 22 countries where the question was asked, at least half of Muslims say a wife should have this right. Most Muslims in Central Asia and in Southern and Eastern Europe hold this view, including 94% in Bosnia-Herzegovina, 88% in Kosovo, 85% in Turkey and 84% in Albania. Tajikistan is the only country surveyed in these two regions where a minority (30%) says women should have the right to initiate divorce. 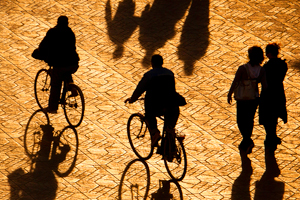 Opinion is less unified among Muslims in South Asia and the Middle East-North Africa region. Large majorities affirm women’s right to divorce in Tunisia (81%), Morocco (73%) and Bangladesh (62%), but only about a quarter or fewer say the same in Pakistan (26%), Egypt (22%), Jordan (22%) and Iraq (14%). In Southeast Asia, only a minority of Muslims believe women should be able to divorce their husbands, including as few as 8% in Malaysia. In 12 of the 23 countries where the question was asked, at least half of Muslims say that sons and daughters should have equal inheritance rights.32 Most Muslims in Central Asia and in Southern and Eastern Europe hold this view, including 88% in Turkey and 79% in Bosnia-Herzegovina. In these regions, Kyrgyzstan is the only country where fewer than half (46%) support equal inheritance rights. In South Asia and Southeast Asia, opinion differs widely by country. More than half of Muslims in Indonesia (76%), Thailand (61%) and Pakistan (53%) support equal inheritance rights, but fewer than half do so in Bangladesh (46%), Malaysia (36%) and Afghanistan (30%). Across the Middle East and North Africa, fewer than half of Muslims say sons and daughters should receive the same inheritance shares. Palestinian Muslims (43%) are most supportive of equal inheritance rights in this region, while support is low among Muslims in Morocco and Tunisia (15% each). Attitudes toward gender issues may be influenced by the social and political context in which Muslims live. For instance, levels of support for equal inheritance by sons and daughters is often more widespread in countries where laws do not specify that sons should receive greater shares. Indeed, in most countries where laws do not mandate unequal inheritance for sons and daughters, a majority of Muslims support equal inheritance. For example, nearly nine-in-ten Muslims in Turkey (88%) say all children should receive the same inheritance. Similarly, more than three-quarters of Muslims in post-communist Bosnia-Herzegovina (79%) and Kosovo (76%) hold this view. By contrast, in most countries where laws specify that sons should receive greater shares than daughters, a smaller percentage of Muslims favor equal inheritance, including a quarter or fewer in Jordan (25%), Iraq (22%), Morocco and Tunisia (15% each). In some, but not all, countries Muslim women are more supportive of women’s rights than are Muslim men. For example, in 12 of the 23 countries where the question was asked, Muslim women voice greater support than Muslim men for a woman’s right to decide whether to wear a veil in public. In the remaining 11 countries, opinions of women and men do not differ significantly on this question. Similarly, when it comes to the issue of equal inheritance for sons and daughters, Muslim women in nine countries are more likely than Muslim men to support it. But in the 14 other countries where the question was asked, the views of women and men are not significantly different. In none of the countries surveyed are Muslim women substantially less likely than Muslim men to support a woman’s right to choose to wear a veil or the right to equal inheritance for daughters and sons. Differences between those who want sharia to be the official law and those who do not are most pronounced when it comes to the role of wives. In 10 of the 23 countries where the question was asked, supporters of sharia as official law are more likely to say wives must always obey their husbands. Especially large gaps are found in Albania (+44 percentage points), Kosovo (+34), Bosnia-Herzegovina (+34) and Russia (+33). Muslims who favor an official role for sharia also tend to be less supportive of granting specific rights to women. For instance, in six countries, those who want Islamic law as the official law are less likely to say women should have the right to divorce, including in Russia (-34 percentage points), Morocco (-19) and Albania (-19). However, the opposite is true in Bangladesh (+13) and Jordan (+12). Additionally, in seven countries, supporters of sharia as the official law of the land are less likely to say sons and daughters should receive equal inheritance. And in five countries, those who favor sharia as the official law are less likely to believe a woman should have the right to decide whether to wear a veil in public. Religion, Violence and the Middle East: A Conversation with U.S. Senator Joseph R. Biden Jr.